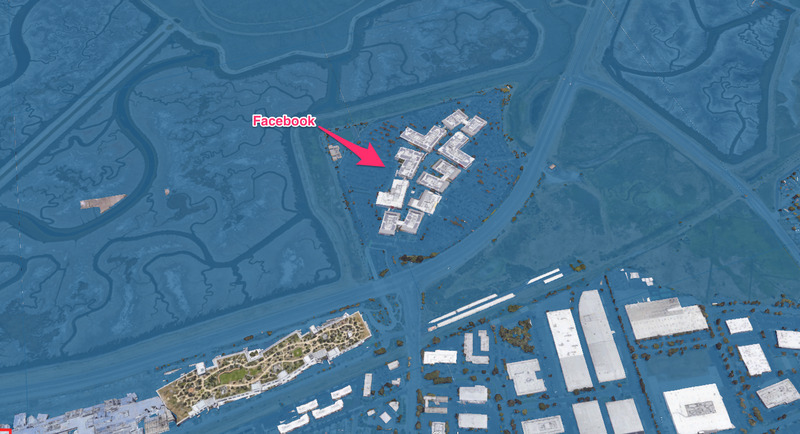 Shayanne Gal/ Business InsiderFacebook’s office may be fully underwater by 2100, based on worst-case scenario sea level rise projections. The world’s oceans are rapidly rising as waters warm and ice sheets melt. Coastal locations, like the San Francisco Bay Area, will be among the hardest hit by the rising tide. 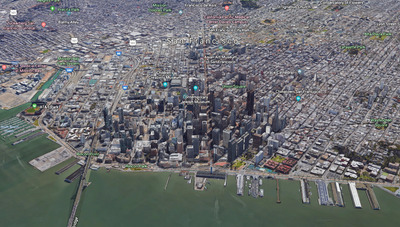 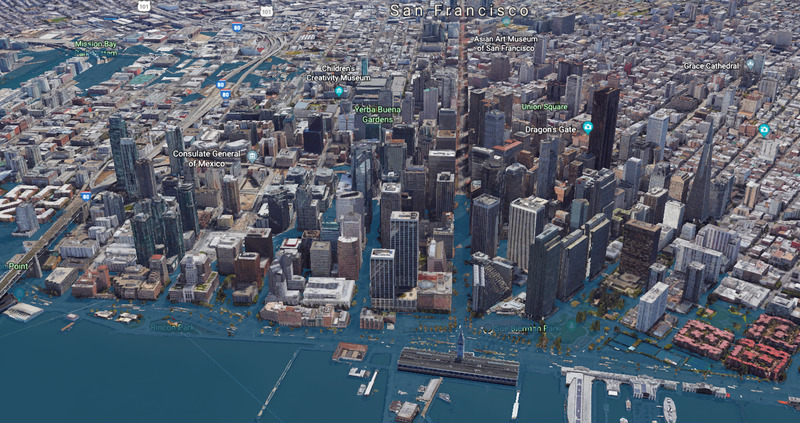 Beyond sea level rise, San Francisco is slowly sinking at a rate of up to 10 millimetres per year in a process called subsidence. All this incoming water will have devastating consequences for the area, where pricey real estate developments and clusters of billion-dollar tech companies may be forced to relocate. 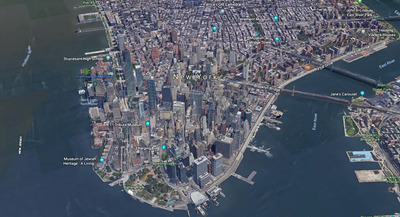 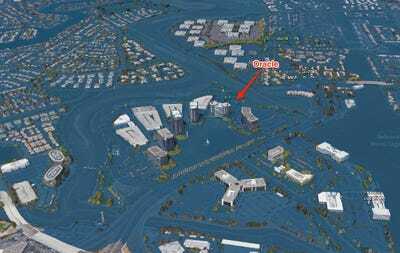 Research group Climate Central has created a plug-in for Google Earth that illustrates how catastrophic an “extreme” sea-level rise scenario would be if the flooding happened now, based on projections in a 2017 report from the National Oceanic and Atmospheric Agency (NOAA). The group’s estimates are based on the worst-case scenario forecasting from NOAA’s data, and it puts into perspective how dangerous the situation could get for San Francisco, Silicon Valley, and the Greater Bay Area. While Apple’s brand-new office in Cupertino will be safe, companies based in Menlo Park, like Facebook, will be totally inundated (assuming these companies stay in the same place for the next several decades). 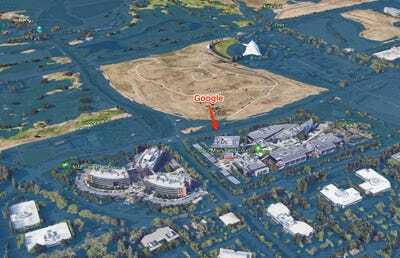 Check out below which tech companies could have their offices flooded if climate change continues unabated. 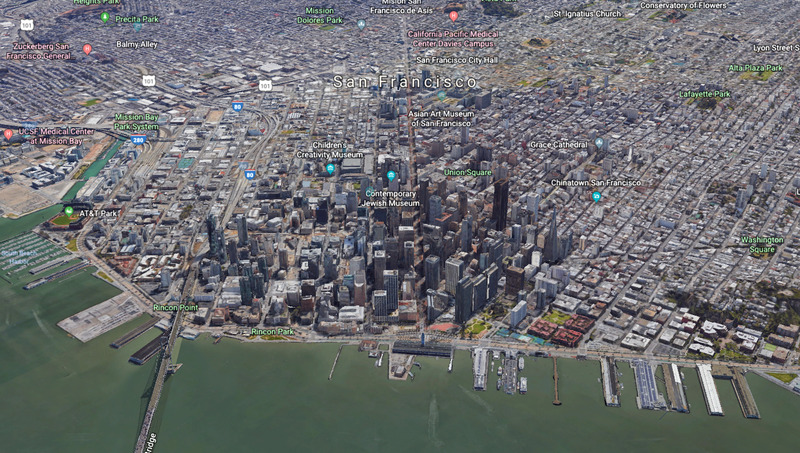 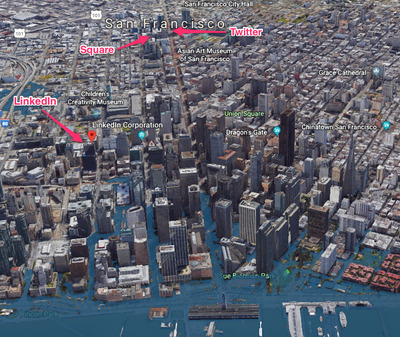 And here’s what the city’s core may look like by 2100, if the worst-case scenario sea level rise pans out. 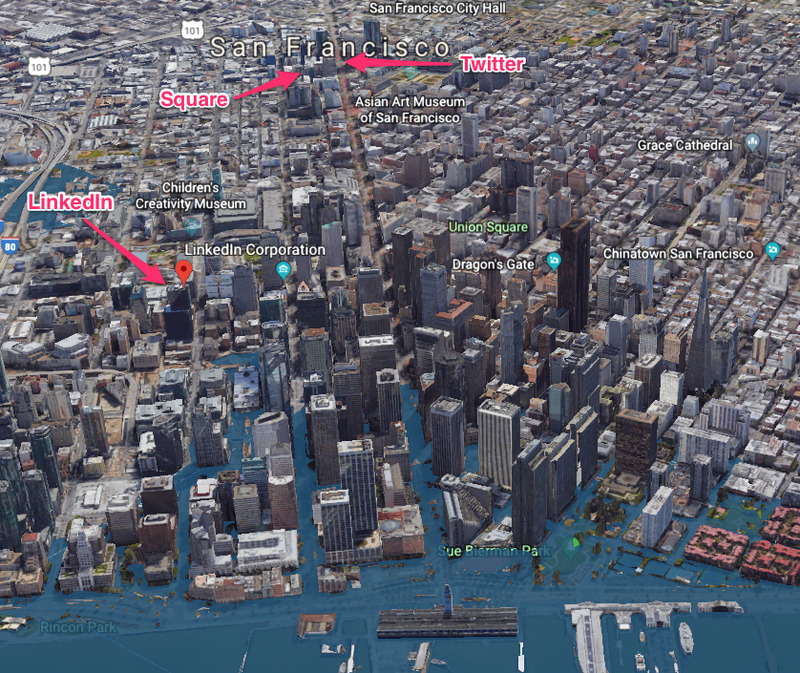 Linkedin’s San Francisco office is just at the edge of the predicted flood plain, while Square and Twitter look safe — for now. 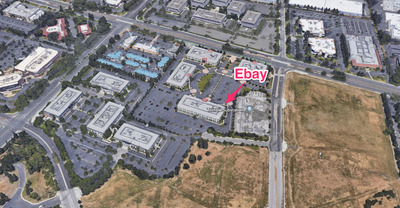 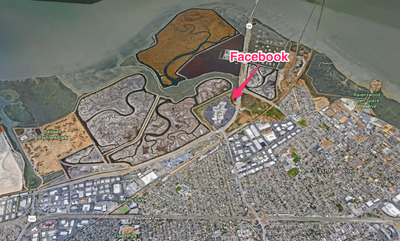 Here’s what Facebook’s Menlo Park campus — just south of San Francisco — looks like now. It will be totally flooded by the end of the century, based on Climate Central’s worst-case scenario map. 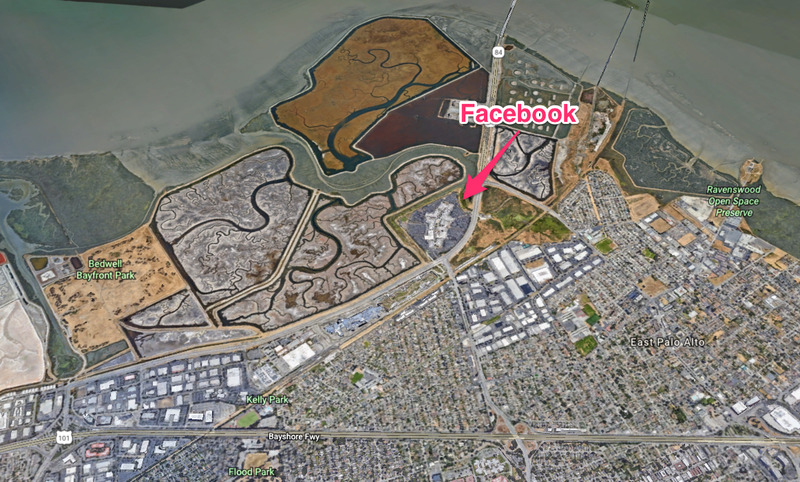 As if the social media giant didn’t have enough problems on its hands already. 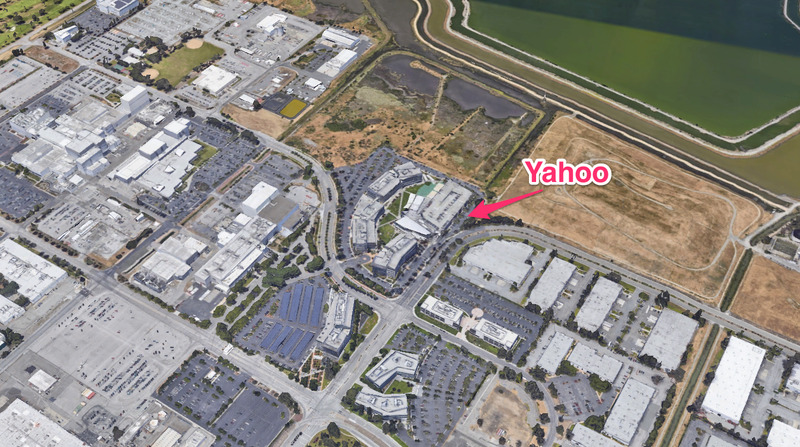 Yahoo, in Sunnyvale, won’t fare any better than Facebook. 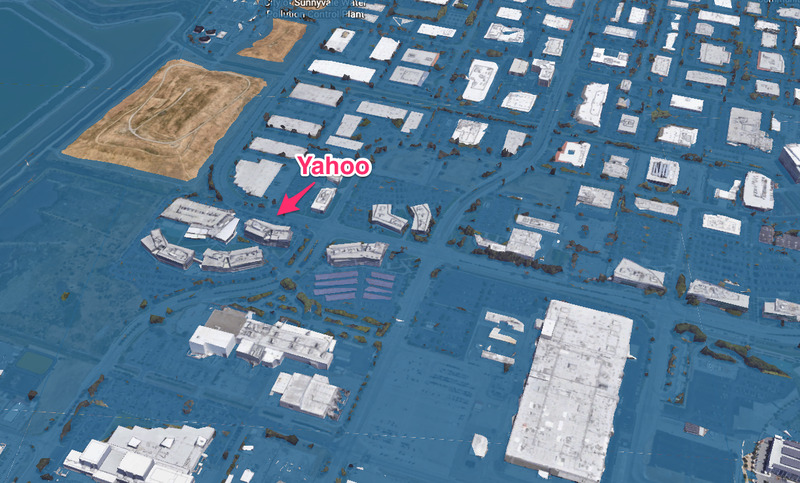 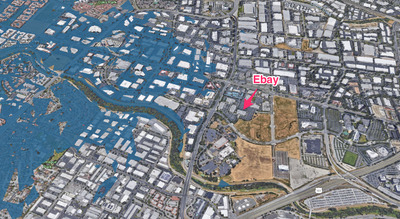 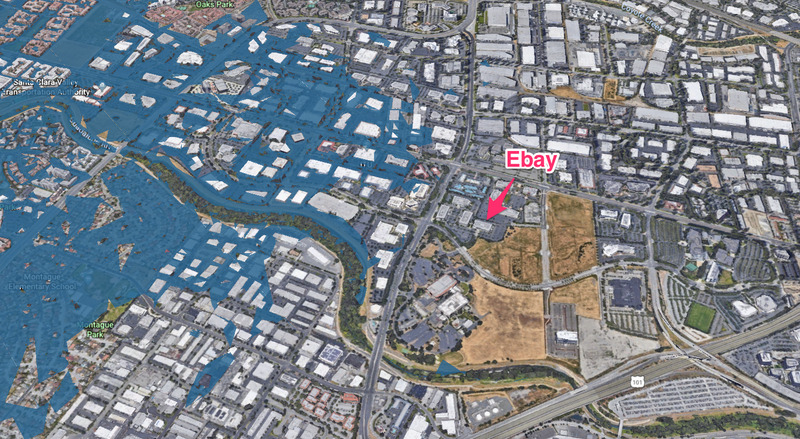 Yahoo’s headquarters and surrounding neighbourhood are set to be inundated by 2100. 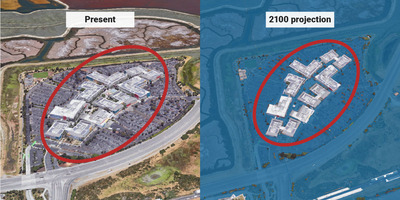 It may become a beach-front office by the end of the century. 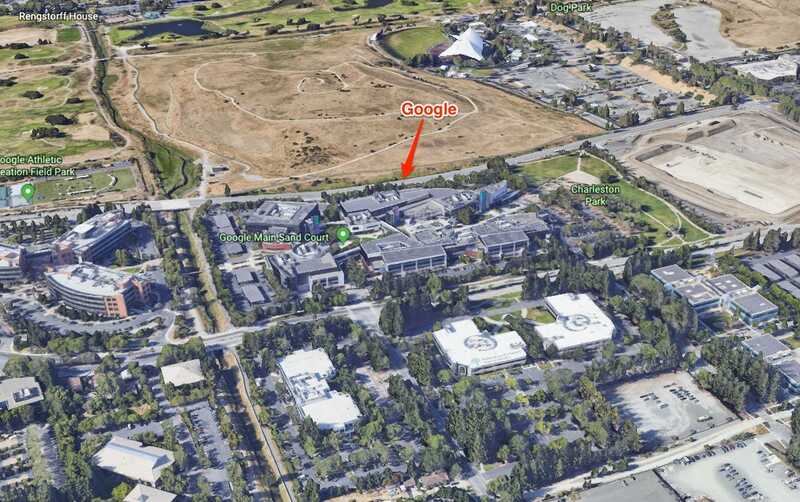 Google’s campus, over in Mountain View, is also low-lying. The search giant may want to head for higher ground, according to Climate Central’s model. 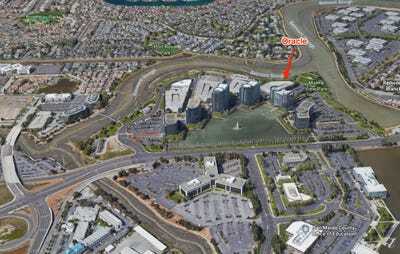 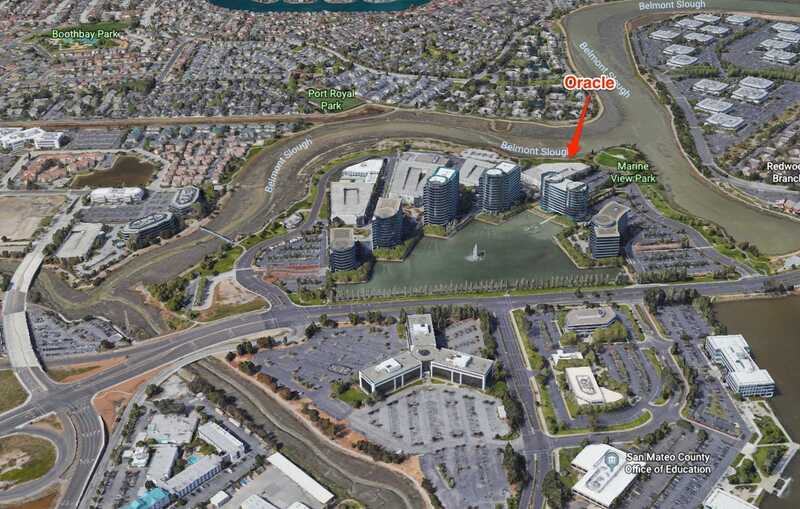 The same goes for Oracle’s office in Redwood City. It also may want to head for higher ground. 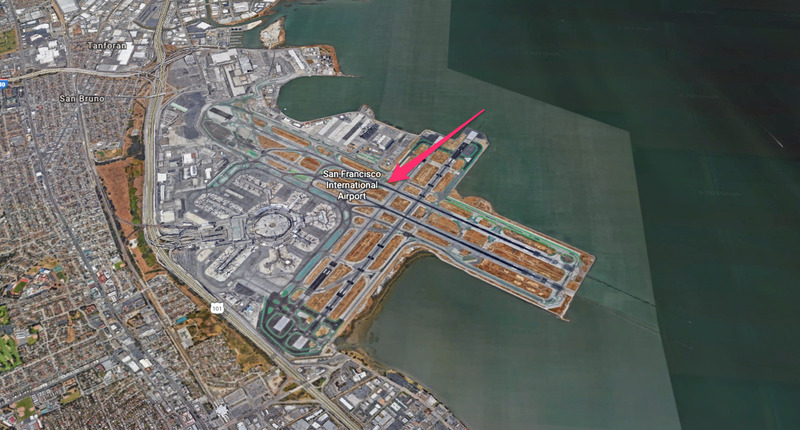 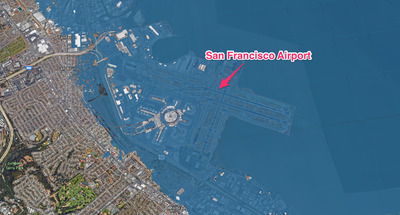 San Francisco’s airport, and the surrounding area, are low-lying and prone to flooding. Good luck flying in and out of SFO in 2100. 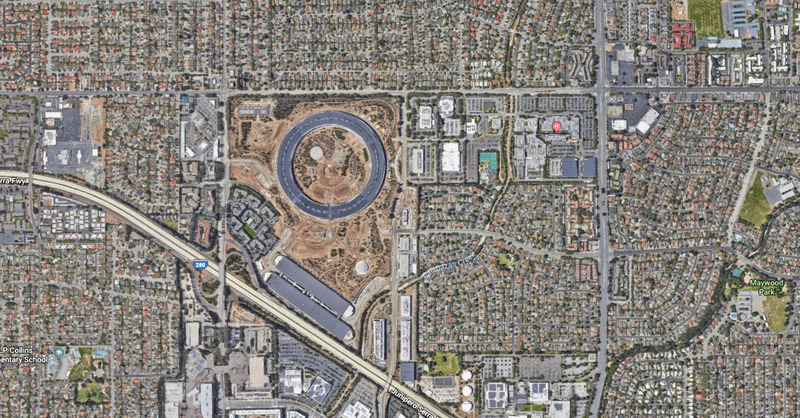 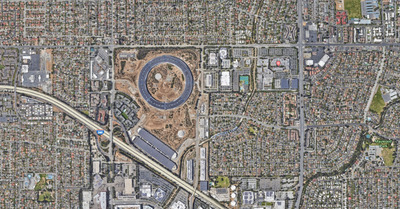 Apple’s campus, the big ring in the center of the photo, will stay high and dry. 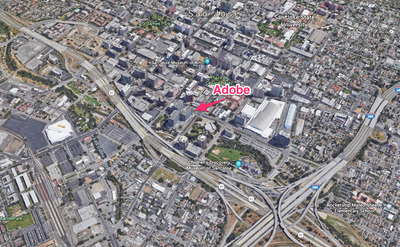 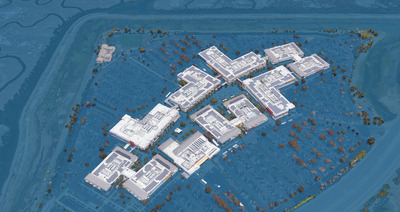 Many San Jose-based companies, like Adobe, are further removed from the coast and will be less affected by the rising tide. 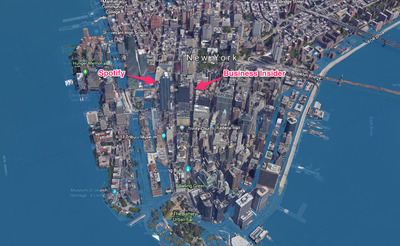 New Yorkers, don’t get on your high horse. 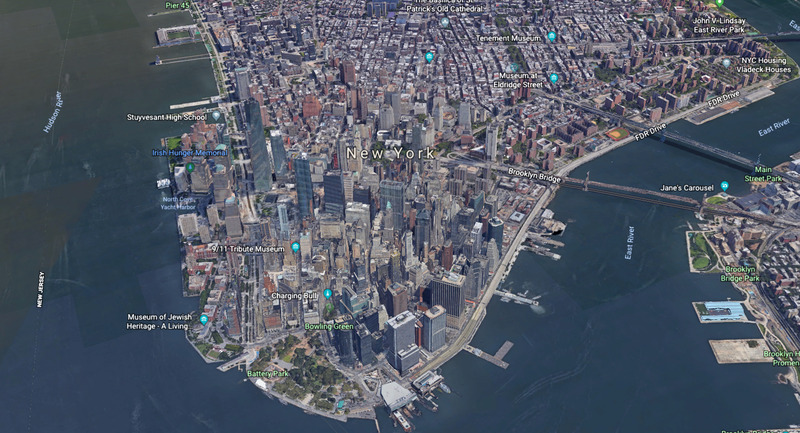 Manhattan is an island, after all. 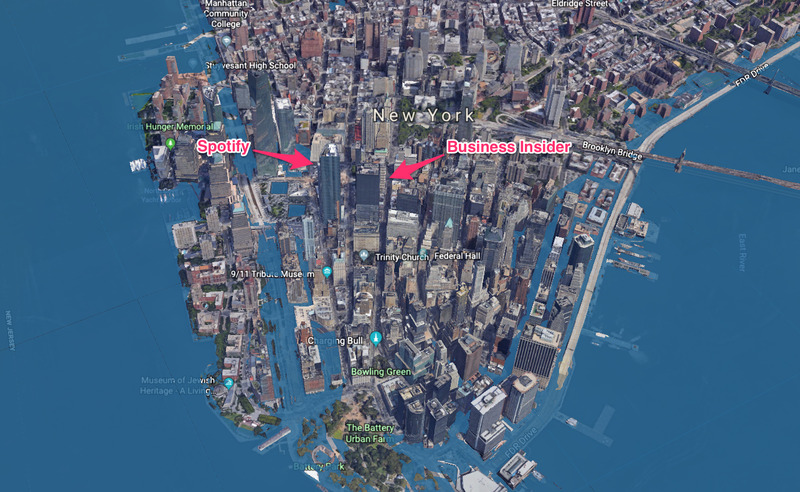 The city’s buzzing Financial District, including Business Insider’s own office and Spotify’s new headquarters, are set to get much wetter by the end of the century.